BIMS is oriented towards the promotion of corporate growth, based on innovation and entrepreneurship in harmony with national economic planning objectives, aiming at a sustainable and ethically acceptable growth rate. The Institute shall strive to be the leader among other management and computer institutions, impacting organizations and society through innovative excellence, in a disciplined environment to uphold high standards of academic life thus instilling pride in its stakeholders. BIMS is committed to: Facilitating and enhancing the global competitiveness of organisations through leaders, entrepreneurs and managers equipped with state-of-the-art teaching aids and labs, fully equipped library of references and other facilities, so that the students get access to a truly modern environment both inside and outside the class room. BIMS aims at Generating, acquiring, assimilating and exchanging management know-how in and from, the global community. Wi-Fi CAMPUS, INSTITUTIONAL EMAIL ID, AIRCONDITIONED CLASSROOMS, REGULAR CAMPUS INTERVIEW, SEMINAR ROOM WITH AUDIO- VISUAL FACILITY, FREE TRANSPORTATION THROUGHOUT THE TOWN, ANTIRAGGING CELL 25000 SQ.FT TOTAL BUILDING AREA ENRICHED LIBRARY WITH 7360 BOOKS BOOK BANK FACILITY, HOSTEL LIBRARY FACILITY, NATIONAL AND INTERNATIONAL LEVEL MANAGEMENT JOURNALS NEWSPAPERS, MAGAZINES AND PERIODICALS SEPARATE BOOK FACILITY FOR COMPETITIVE EXAMINATIONS, EXPERIENCED BEHAVIOURAL THERAPIST FOR MENTAL AND PROFESSIONAL GROWTH, SOFTSKILL TRAINING, SEPARATE TRAINING ON LOGICAL COMPETANCE, SPACIOUS CLASS ROOMS, UNINTERRUPTED POWER SUPPLY, INFORMATION TECHNOLOGY LABORATORY. 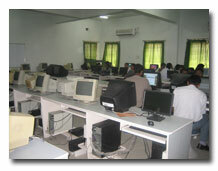 STUDENT & COMPUTER RATIO IS 1:1. SEPARATE INTERNET LABORATORY. BIOINFORMATICS LABORATORY BIOCHEMISTRY & BIOTECHNOLOGY LABORATORY.